The galleries were large with few seats left within the first tee grandstand. For many, it would be a daunting experience as they settled their nerves ahead of their third round of a major championship. However, the final grouping of Pornanong Phatlum and Georgia Hall showed little emotion on the tee. Both players had other things on their minds. Both knew that a strong round would put them in contention to lift their first major. 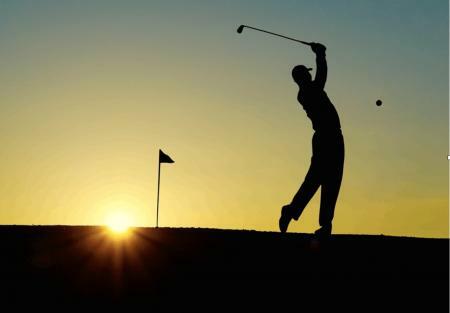 Neither player had dropped a single shot in their previous two rounds at Royal Lytham St Annes but that would change as the two battled it out. Phatlum would drop her first on the 12th hole after a solid start that included four birdies. She would par every hole from that point on to finish with a card of 69. Hall’s longest ever run without a bogey would end on the on hole 13. Unlucky for some I suppose but it was a glorious streak while it lasted. She would drop another on the 17th. At this point, Hall was two shots behind the Thai as they approached the 18th. For Hall, she simply couldn’t let Phatlum stretch away any further. Her approach to the green gave her a chance. It was a chance she would take as the crowd roared her birdie putt. 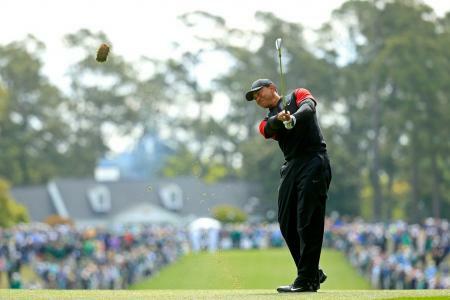 The two players were inseparable producing a scintillating display of golf and nerve. If there was any pressure, both proved that they thrived off it. They will have to do it alongside each other again tomorrow in the final pairing of the championship. However, the chasing pack is close and brimming with talent. So Yeon Ryu and Sung Hyun Park both know what it takes to win major championships. For Ryu, an impressive card of 67 means she is breathing down the neck of the final pairing only two shots away from the lead. Two-time major winner, Sung Hyun Park is one shot further adrift alongside Mamiko Higa and Minjee Lee. 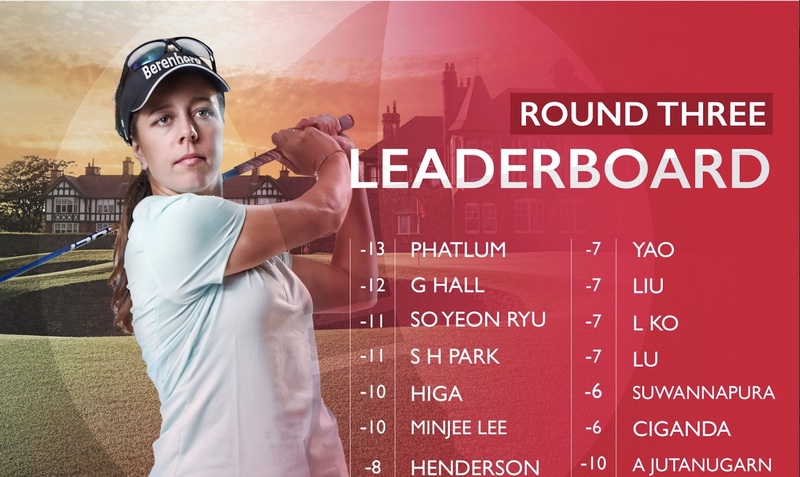 With only three shots separating the top six players, anything can happen on the final day of the Ricoh Women’s British Open at Royal Lytham St Annes.